Acupuncture, Degenerative Conditions, Pain Treatments, Physiotherapy, Prevention, Resources, Sports Physiotherapy. Injuries are a part of using our bodies in life, but this does not mean it should impede your return to work, sport or a hobby. You should stay positive while you confront the difficulty of rehabilitation. For short term pain relief, medications are often prescribed by family doctors. However, if you are aiming for long term relief, the injury needs to be treated appropriately. Most of the time physiotherapy is the best option. Medications may simply mask the pain and it is preferable to find the underlying root cause. Physiotherapists are trained to treat ailments of the muscles and skeleton. Here are ten reasons to determine if physiotherapy is right for you. From weekend warriors to high level athletes, sportsmen and sportswomen are stoic, but injuries can threaten their careers. Physiotherapy can help to speed up the rehabilitation process, which allows the person to return to sports more quickly. Injuries as a result of a motor vehicle- or work place accident need extreme care. 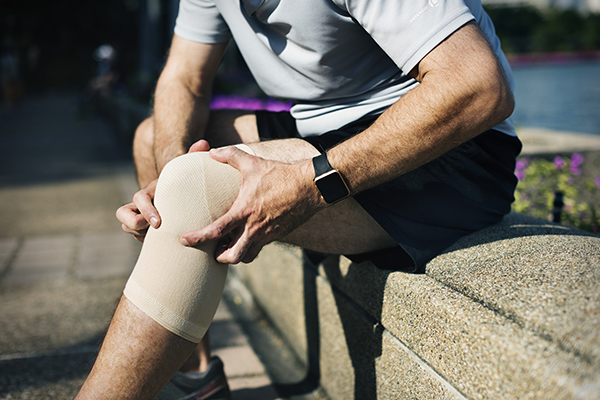 Upon seeing the family doctor or emergency doctor, following up with a physiotherapist for assessment and treatments can often resolve injuries with better long-term results. Due to a change in weight distribution around the abdomen over the course of pregnancy, it can lead to drastic changes in posture. Poor posture affects many pregnant women. Taking medications and drugs may be harmful for the baby. It is best to try physiotherapy to help relieve any back, sacrum or hip pain. Medications are not the only choice for chronic pain. Pain is a complex mechanism, but a physiotherapist can help to break the pain cycle and help with return to activity. Acupuncture has been shown to provide a successful form of drug free pain relief. Additionally, research has proven that exercises provide effective long term relief in most cases. Conditions such as osteoarthritis, rheumatoid arthritis and other conditions, affect not only the elderly, but young adults alike. Physiotherapy modalities and movement based therapy prescribed by a physiotherapist can help these conditions. With the number of overweight and obese individuals on the rise due to lifestyle factors, there are many of us who have insecurities with our bodies and are fighting issues with weight. A physiotherapist can help to kick start your weight loss routine. Physiotherapy can help to improve outcomes for surgery. This is especially true if you’re considering a hip- or knee replacement. Follow-up with your specialist or surgeon to determine if you would benefit from physiotherapy before or after surgery. Complications that may arise from breast cancer treatments such as chemotherapy, radiotherapy and/or surgery can include tightness, stiffness, swelling, fullness and weakness in the affected chest and arm. A physiotherapist trained in breast health can provide a non-chemical, gentle yet effective treatment option. Symptoms of dizziness, vertigo and nausea may vary from mild to severe. Symptoms may last a few seconds to several months. They may go into remission and reappear after many months or years. A vestibular physiotherapist is trained to assess and treat for conditions that may affect your inner ear function. This is a safe and drug free option for minimizing dizziness, improving balance and regaining your independence. Even if you don’t have any pain or ailments, seeing a physiotherapist 1-2 times per month for “pre-habilitation” is a sound investment for your health. Long hours spent in front of technology can cause havoc on the musculo-skeletal system. Much like a dental check-up and cleaning, physical rehabilitation programs simply take a far more holistic approach to health and well-being compared to any other form of treatment. How Does a Physiotherapist help with injuries or pain? Physiotherapists can help you in using a combination of manual therapy (hands-on therapy), exercise, and education to ensure that you work together as a team on your path to recovery. Learn more about pain management through physiotherapy by reading A Smart Guide to Pain Management. Contact us today if you would like to book an appointment with a Physiotherapist. Physiotherapy treatment might help treat sports injuries as you mentioned that my son has. Since you said that it helps with chronic pain, I should get some relief after I book an appointment. Since you suggested to see a physiotherapist to treat vertigo which I sometimes get, I’ll look for services that offer it and test them with my son. Seeing a physiotherapist to acquire their services for chronic pain as you mentioned is something I’ll keep in mind next time my back pain acts up. Since you pointed out that I can see one for reasons related to pregnancy, an appointment could help me support my back better. If I can visit one to relieve my dizziness as you stated, I’ll be sure to look for one as soon as possible for the sake of me and my baby’s health.